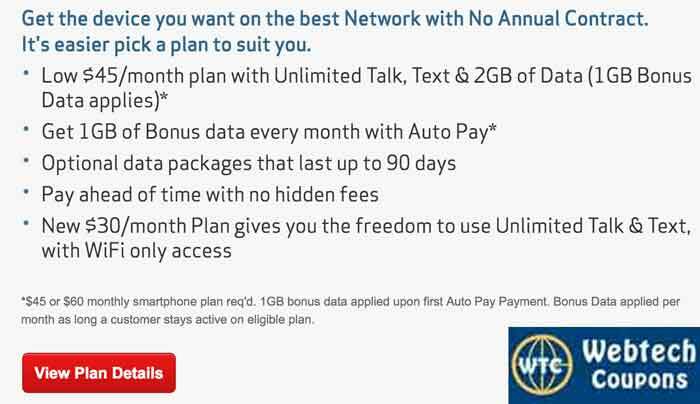 This is one of the best-prepaid data plans in united states where we will get 2Gb + 1GB bonus if we start Auto pay. This plan comes with unlimited calling and text for just $45 per month which includes 2 GB of data. So now go prepaid with limited expense and high quality calling and data network by Verizon wireless.